THE UNEMPLOYED EATER: BacoShop Opens TODAY in Culver. Go To There. BacoShop Opens TODAY in Culver. Go To There. Baco Shop opens TODAY in Downtown Culver City. 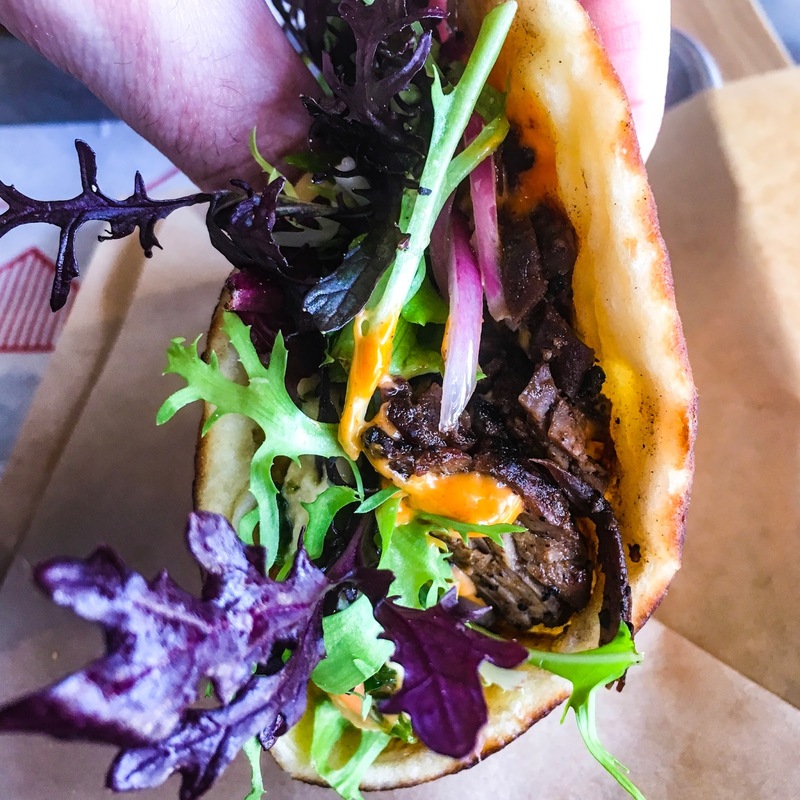 The fast casual spin-off of Chef Joseph Centeno's highly successful DTLA stalwart, Baco Mercat, serves Centeno's signature "bacos" (a tender flatbread hybrid of a tortilla, pita and sandwich bread) filled with some delicious fillings. They're even baking the bread fresh right in front of you. Any sandwich is also available in burrito-form or grain bowl. Not to mention a bevy of sides including Centeno's shredded Brussels Caesar and cheesy hashbrowny tots that are a must order. Here's the thing though, guys and gals: YOU NEED TO GO HERE. This is the cool, original, bold-flavored lunch spot Culver has sorely lacked. It garners our respect goddamnit! And our wallets (or electronic payment, depending on your vice). If we don't make BacoShop work, well then, we're basically doomed. If this place isn't packed, we simply do not deserve shiny things. So please go there. Please? Want to see how Centeno makes his magic bread? Well, here's a link to such a thing. 9552 Washington Blvd., Culver City.